← Dessert For Breakfast. Yoghurt Panna Cotta with Grilled Pineapple and Mint. 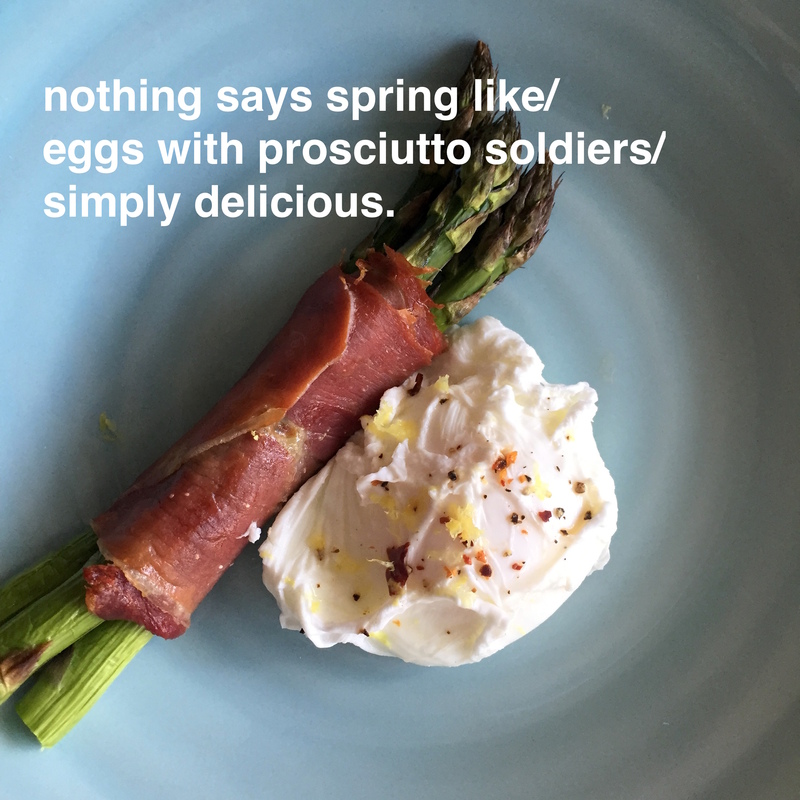 This entry was posted in Breakfast, What I Love to Cook and tagged 5:2 Diet, Asparagus, Brunch, Eggs, Fast Diet, Gluten free, Healthy, Prosciutto, Spring. Bookmark the permalink. 6 Responses to Eat, Fast and Live Longer. A 5-2 Fast Day Recipe Idea Under 200 Calories. Poached Egg With Prosciutto Wrapped Asparagus Soldiers. I am down to my goal weight (yay!) so now am only fasting once a week. I also had a poached egg yesterday on my ‘hungry’ day – they feel so luxe on a fast day. Congratulations and well done. I’m only doing one these days too – could do with losing a bit more but this way I know at least I won’t put anymore on. I hope you’re enjoying all your baking. Guilt free of course. These are wonderful! I love them. And you egg is perfectly poached. I was lucky to have access to just laid farm eggs this week. They always poach beautifully. Thanks Laura. So am I!